You don’t have to drink everyday to be addicted to alcohol. When you think of alcohol abuse, you may think about hiding alcohol, drinking in secret, or drinking in the morning. This may not always be the case. Addiction professionals understand that dependence can include physical and emotional addiction. Not every person with concerns about problem drinking consumes alcohol everyday. You don’t have to use alcohol daily to experience negative consequences either. If you don’t have a physical dependency to alcohol, you could be emotionally dependent on drinking. Emotional dependence can quickly lead to physical dependency. Drinking excessively to feel less anxious during social gatherings is a sign that you may be dependent on alcohol to numb uncomfortable feelings. Now, just because you have a drink at a social event does not mean that you’re addicted. If you feel the need to drink in excess to avoid social anxiety, this could point to having a dependency. Drinking for the purpose of getting intoxicated is another sign that you may have a problem. If you find yourself drinking fast and drinking a lot for the sole purpose of intoxication, this could point to problematic drinking. Drinking alone is another sign of dependency to alcohol. There is a difference between having one drink and having 5 or 10 drinks. If you find yourself drinking large quantities of alcohol alone, this could be indicative of dependency. Being unable to be alone without drinking is a big risk factor for alcohol dependence. If you are concerned that your drinking may be causing problems in your life, you may be right. The best way to know for sure is to work with an addiction professional about your concerns. Hired Power understands addiction treatment. Hired Power uses innovative approaches to helping you get and stay sober. 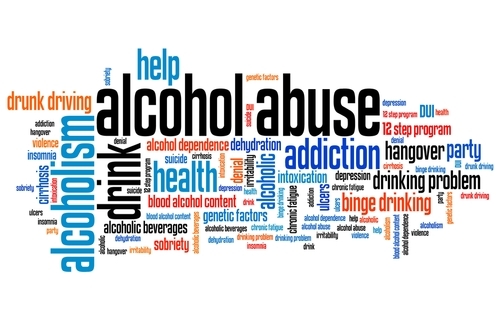 If you want to learn more about the alcohol use and abuse, call Hired Power today at 714-559-3919. Hired Power is the expert you need to help you take your first steps towards recovery.